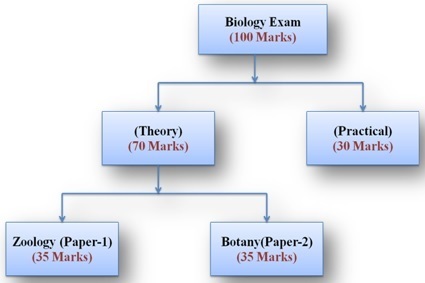 Being familiar with UP Board class 12th biology paper exam pattern 2018 will enable the candidate to prepare better as the candidate can then formulate separate strategies to tackle different question types. For the convenience of the students, some very important links are given at the end of the articles. * Marks Distribution for both papers is same. Previous year question paper and the paper issued by UP Board shows that there will be no overall choices in the coming board exam of UP Board class 12th Biology.